I recently updated VS to 15.3.3 and Xamarin Studio on my Macbook to 10.12.3.3. My agent will connect (I get the success message in the status bar at the bottom of VS), but it never turns green for me to select a device/simulator. Any idea what is going on here? Tried restarting several times. Adds automatic word wrap to the Git commit message textbox. Allows user to instrument their Service Fabric projects for Application Insights. Adds visual guides at each indentation level. A full featured Markdown editor with live preview and syntax highlighting. Supports GitHub flavored Markdown. 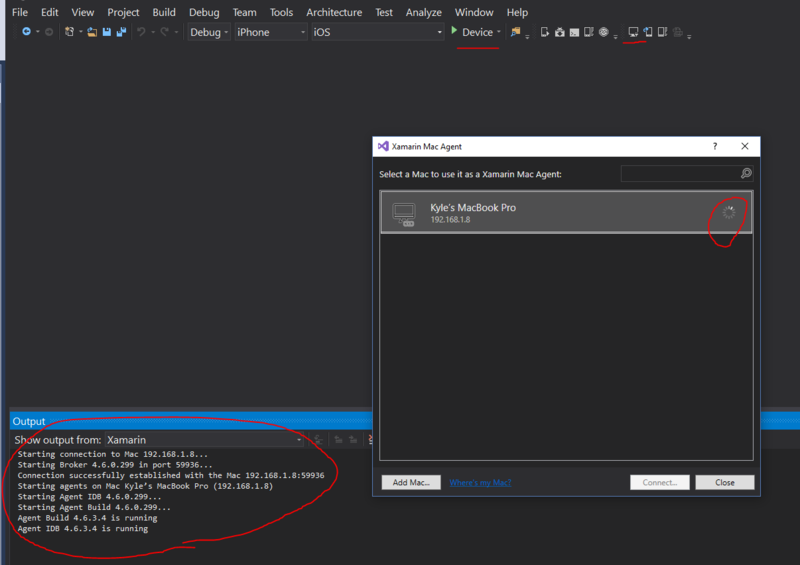 An extension that enables spell checking within any Visual Studio file editor or tool window that uses WPF text boxes. An editor extension that checks the spelling of comments, strings, and plain text as you type or interactively with tool windows. I tired that. Didn't work.